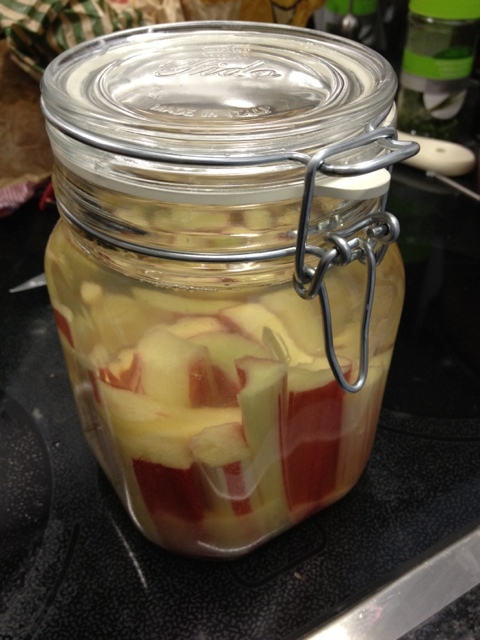 I LOVE eating rhubarb in all its varieties: rhubarb crumble, rhubarb chutney, rhubarb jam, rhubarb compote, andonandon… I have never had rhubarb schnaps, however. 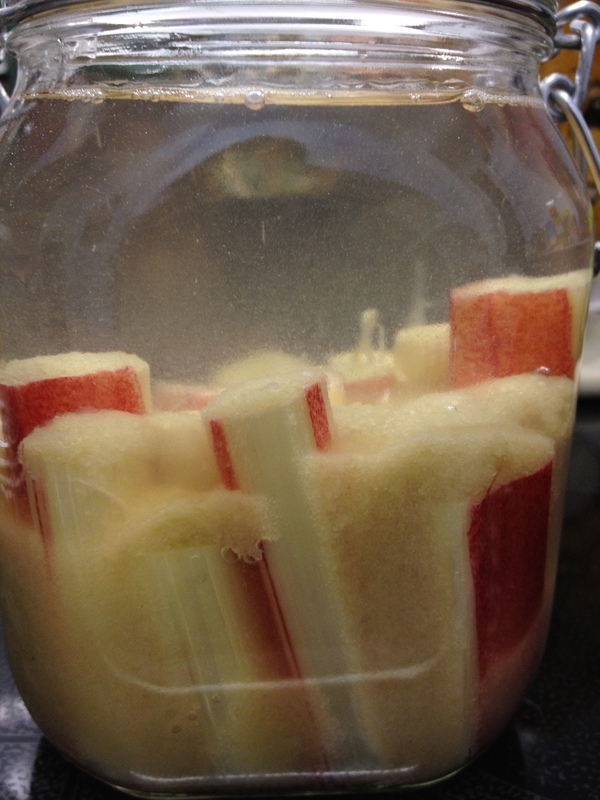 When I came across the recipe for rhubarb schnaps in Nigella Lawson’s “How to be a domestic goddess” I had to try it. 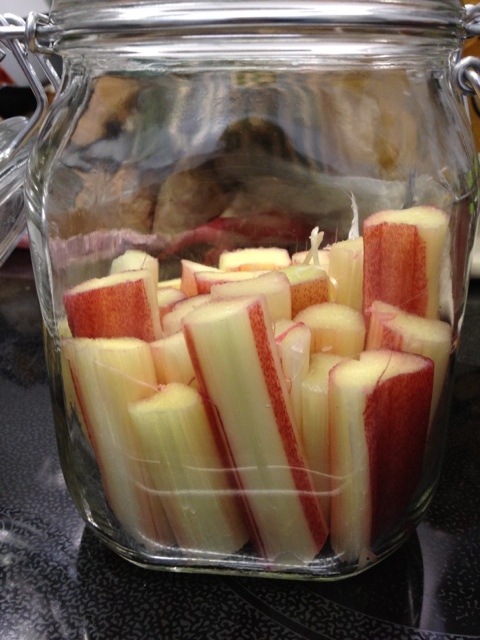 Cover the rhubarb with 200g sugar. 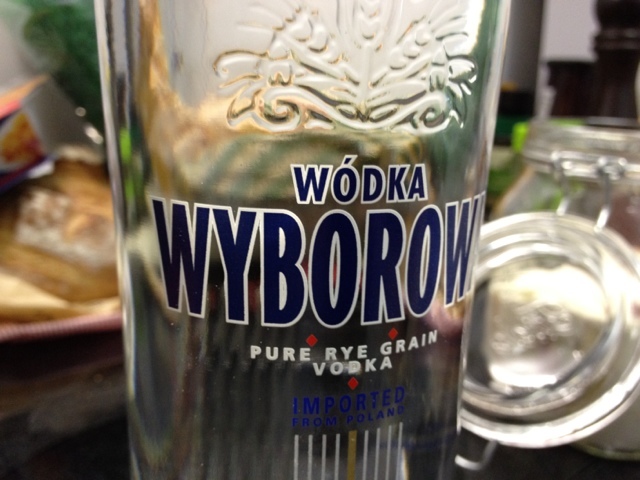 Fill the jar with vodka. 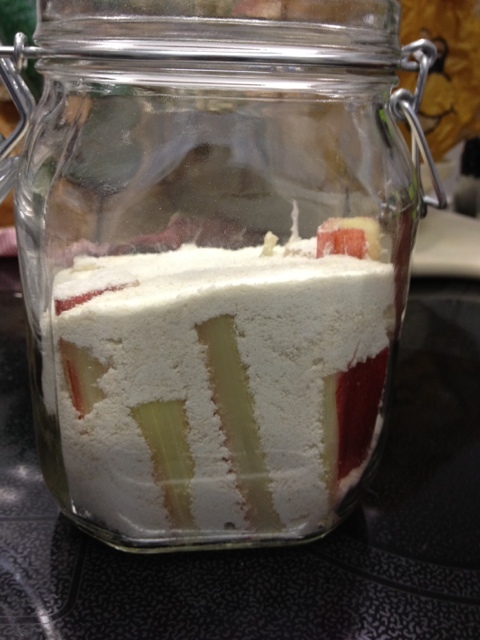 Nigella says you can use the inexpensive stuff. And that’s it for now. Of course, the proof of the schnaps lies in the drinking. But before you can do that you need to store it for at least 6 weeks in a cool, dark place. So the next update to this post will follow towards the end of May.